Galbraith has proudly been providing commercial design/build services to clients in the Philadelphia, Pennsylvania area for several years. 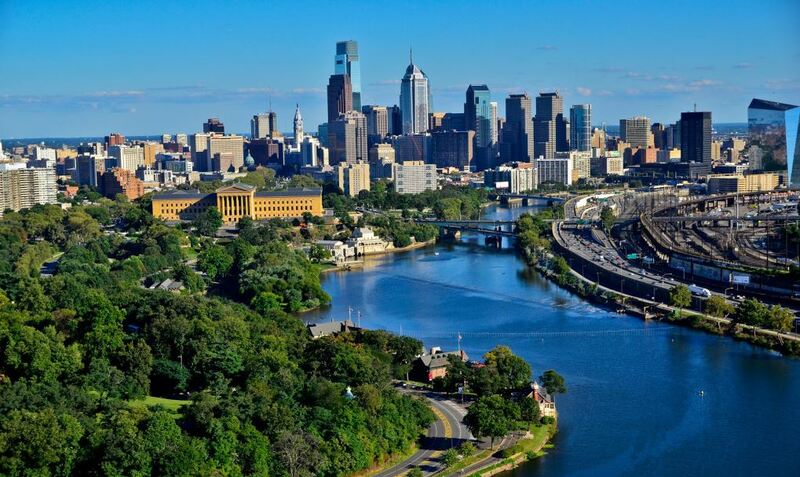 As the largest city in Pennsylvania and one of the top three metropolitan areas in the Northeast, Philadelphia has evolved into an economic hub over the years. Healthcare is a major economic sector in the city with more than 100 hospitals in the metro area, six medical schools and biomedical and pharmaceutical industries. At Galbraith, we pride ourselves on our customer service. Too often, commercial contractors or designers will take a cookie-cutter approach to their projects and use cheap materials or outsource work to unqualified subcontractors. We believe that every project should be tailored to the owner’s goals and specifications without cutting corners. Our wide breadth of project experience and specialty expertise lets us assist our clients in the Philadelphia area with land acquisition and site development, planning and design, tax abatement and financing and adhering to regulatory guidelines and local stipulations, all while finishing our projects on time and on budget. Our team of experts focuses on preventative problem solving and proactively managing projects so we minimize potential issues, project change orders, and unforeseen costs. Most of the issues that would cause a project to go over budget can be eliminated before the project even starts if you know what to look for. This is especially true for projects in industries with lots of regulation, like healthcare facilities and food processing plants. For this reason, it is critical to hire a firm that has experience in these industries, has built a team of qualified subcontractors and knows the permitting process like the back of their hand. We are very familiar with local regulations having completed projects in eight different states in the area. If you are beginning to work on a commercial or industrial construction project, reach out to us today and discover the Galbraith difference! Most all of the work we do for our clients is completed in occupied buildings or public environments. Because of this, complying to every single safety standard throughout the project is an essential piece in our building process. In addition to this, we also use daily and weekly checklists. These checklists help our professionals ensure that every job site is cleaned appropriately and is hazard-free. This is just another way we provide our clients with complete satisfaction. At Galbraith we not only provide our clients with high-quality design and construction services, we also incorporate only the very best products into all our projects. NCI Building Systems, Inc. (NCI), is composed of a wide selection of companies who all design, manufacture and sell the highest quality in metal components, metal coatings, and custom metal building systems for commercial construction projects. We are part of their professional network, and as a result, our clients have access to their premium products. Contact us for your initial consultation, and let’s get to work on your project. We will schedule a time to meet with you, discuss your ideas, and then design and build you the perfect building for your specific business needs. You always receive a job that is completed to your full satisfaction.